Some people equate professionalism with simply getting paid on a regular basis, in contrast to an amateur who does the same services as a hobby and for free. Others think that the difference between a professional and an amateur is the quality of the work. Both factors do apply, but the real difference is in the root of the term professional. To “profess” is to announce or affirm an allegiance to a certain set of beliefs. For the best electrician companies in Perth, it’s about adhering to a code of ethics. 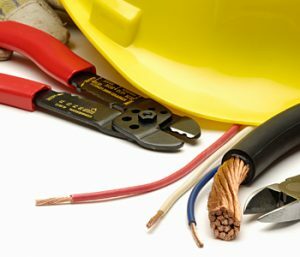 The electrician should make certain that their work is of the highest quality and that it complies with the Australian Standards and Statutory This contributes to public safety. It’s their duty to note any dangerous electrical conditions to the proper authorities. They must satisfy the particular needs of their clients using the most energy-efficient solutions. This means that they must keep track of the latest technologies and developments in the electrical industry. They should always be on time for scheduled appointments, and for emergencies they should be available as soon as possible. They should also communicate any potential issues regarding absences and tardiness. Guarantees for a certain period must be provided for their work. They cannot just provide substandard service in the hope that they will be called upon again to provide another service for additional pay, especially for the same job. They must behave ethically when trying to solicit work from potential clients. That means they must be honest about their abilities and the prices they charge. They must not exaggerate their capability and the speed at which they can work, and they must be honest in their pricing. Quoted prices should remain the same after the work is done. There should be no surprise additional fees after the work. They must help staff and apprentices to improve so that they can also maintain and raise the work standard of the electrical industry. They must behave courteously towards their clients. Electricians must honor the privacy of the clients and they obviously must utterly respect their possessions as well. 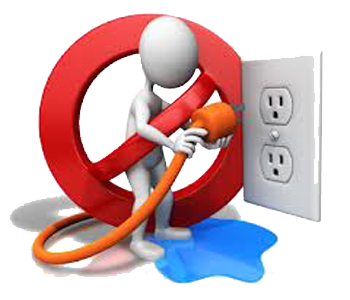 Electricians should minimize the disturbance they cause within a household or a workplace. They should refrain from bothering the customers when they don’t have to, since they may be busy with other tasks. Electrical workers must leave their workplace without leaving it dirty and disorganized. Part of the work is to return everything back to their proper places. The workplace must be clean and tidy afterwards. As you can see, it’s not just about the quality of the electrical work that’s important. It’s also the behavior of the electricians and of the electrician company as well. Professionalism refers to honesty and courtesy for every part of the work. This is the real difference between a pro and an amateur, and this is what differentiates Western Metals & Electric Services Services. Copyright © 2019 Hagemeyer Electric Services. Powered by WordPress. Theme: Esteem by ThemeGrill.